What is a “Brass Ring”? Home/Training Programs/What is a “Brass Ring”? At around the turn of the 20th century, one of the most popular forms of entertainment within communities was the local fair. This event during that time was far more important to a community than it is now for the simple reason that it was a rare – if not the only – opportunity for an entire community to come together for entertainment, competition, and other events. It was not uncommon for a small town to roll up the sidewalks when the fair came to town. At every fair, one of the key attractions was the carousel. On the carousel, a ring dispenser arm was attached to the side of the ride. Once moving, the arm swung out for riders to try to grasp a ring from. 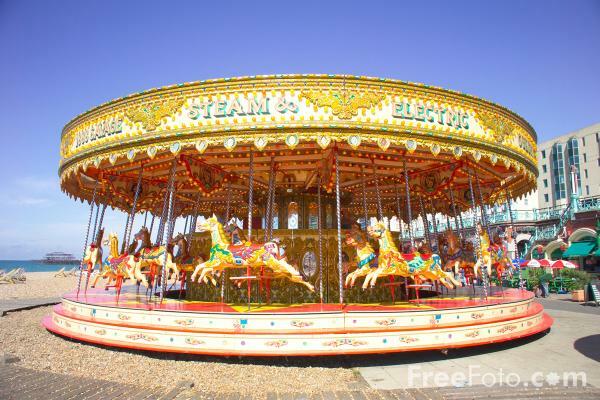 As the wooden horses circled around the center, rings were fed to the arm that was suspended above the riders, who hoped that the timing of their horse’s rise would coincide with their approach to the ring. If the conditions were right, they might have a chance to grab a ring. This was not easy, though, due to the fact that the rings were well out of easy reach and the conditions had to be perfect. As the rider went by, he/she would have to focus completely on grabbing a ring, which was only possible if the animal they were on was at the top of its arc and the rider timed the grab just right. 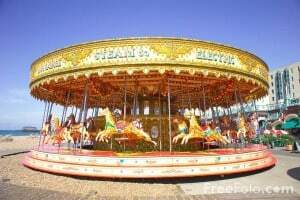 It was customary to have many iron rings, but only one brass ring. If the rider did grab the esteemed brass ring they would be rewarded with a prize. For this reason, the terms reaching for, or grabbing your brass ring are synonymous with striving for the highest prize, or living life to the fullest. In life, a Brass Ring is not just another goal (like to lose 5 pounds or learn to golf), it is THE GOAL. It is something that you are passionate about, something that you are willing to work for. It is a constant companion in your daily thoughts. My Brass Ring, for example, is to be a highly effective coach and mentor to those that are ready and willing to make a commitment to achieve their best, a leader by example in my own disciplined pursuit of excellence. As my Brass Ring, that desire to be the best is ever present. It is more than just a thing that I think ‘would be nice’, it is THE thing that I am most passionate about. It is what drives me to work hard, and sometimes even sacrifice for. If you want to know more about 1 on 1 Brass Ring Coaching. Click on “Contact a Coach” and someone will be in touch with you shortly to discuss options for assisting you in grabbing your Brass Ring.